This new glossary continues that tradition. On page 36 of The Unconditional Man, we find Frankl making a reference to the Genesis story and offering a brief interpretation through the lens of logotherapy. While I cannot say so with certainty, this is the first reference I recall seeing where Frankl performs an actual biblical hermeneutic. However brief, the doing of it by Frankl himself offers some insight into how a logotherapy hermeneutic may yet develop in the future. In the Book of Genesis, it says that man was created on the sixth day and on the seventh day God put his hands into his lap; so, whatever he is going to make of himself has been up to man ever since! What about God? God is waiting; he is looking like a spectator on how man is actually, creatively, actualizing the possibilities of his being. God is still waiting, still at rest; it is still Sabbath, a permanent Sabbath. Here, Frankl interprets the resting of God on the seventh day as a window of opportunity for humanity to exercise its freedom and responsibility. The inaction of God implies the necessary action of humanity. In other words, the actualization of human values defines the ongoing work of creation itself, the flowering, if you will, of what God has planted. Said another way, the resting of God corresponds to what Frankl elsewhere calls the "gap between stimulus and response." The stimulus and response may be seen as the prior work of creation, but the Sabbath rest after that work allows freedom and responsibility in humanity so that it need not be conditioned by that prior creation. (For those readers familiar with the application of a logotherapy hermeneutic to the Book of Job, it also corresponds to the ellipses in Job 42:5-6). 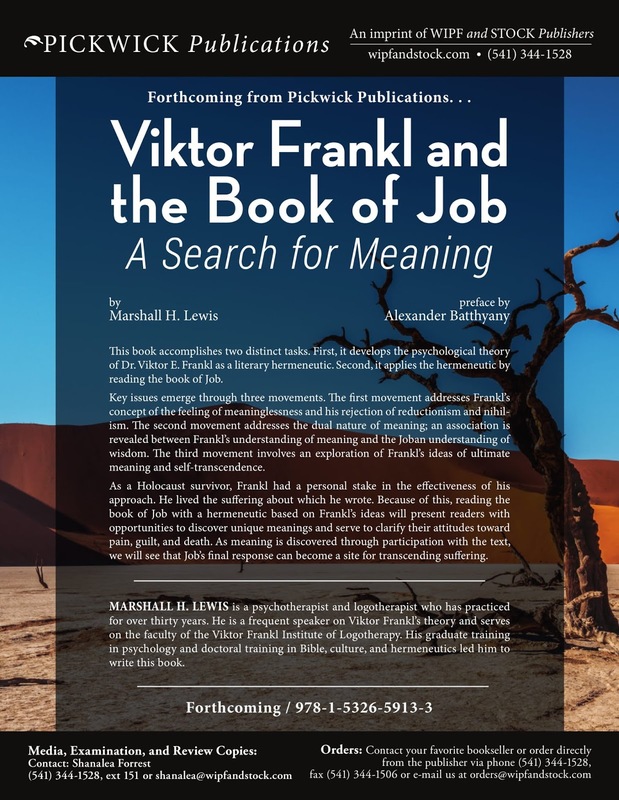 Frankl creatively uses the biblical story to highlight a point about logotherapy's view of the human person, while at the same time allowing the story to retain its own propositions. The fit is comfortable and provides a new slant on both logotherapy and the Genesis story. 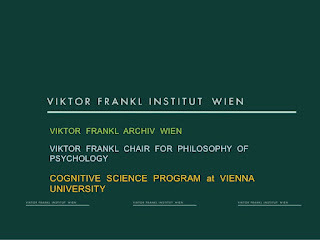 On June 21, 2013 I had the privilege of presenting a portion of my doctoral research at World Congress XIX on Viktor Frankl's Logotherapy in Dallas, Texas. The audio portion of that lecture is available below. Please note that the full video of the lecture was not captured. What you see is a composite of the video, followed by the remaining audio with images from the presentation handout and still shots inserted. Please follow this link to view or to download the presentation handout. Dr. Alexander Batthyány has kindly given permission to share the PowerPoint from his recent keynote address in Dallas entitled The Cognitive Neurosciences and Logotherapy: New Experimental Findings and Their Implications. In the coming days, I plan to combine this PowerPoint with the audio from the keynote to recreate the address.